Our client is the major provider of Hong Kong’s public healthcare service with over 160+ hospitals, institutions and clinics. As per the dynamic growth in the industry, the demand of manpower and medical resources are keep increasing. In order to meet business expansion under limited resources, Million Tech suggests enhancing the work efficiency and reducing the burden of font-line medical staff. Therefore, the company proposes a digital closed-loop solution for drug dispensing process – “In-Patient Medication Order Entry (IPMOE)”. The IPMOE will then be applied in all wards of client’s hospitals. In the previous drug dispensing workflow, it involves over 80% of manual process which leads to high risk of human mistake. The workflow begins with a paper form of Medication Administration Record (MAR) which is submitted by doctors. After that, it comes to the pharmacists to check the order and dispense drugs to ward. And nurses will then check MAR to schedule administration, and perform 3-checks-5-rights to finish the whole drug dispensing procedures. The whole process takes long time of checking and confirmation, also expose the drug allocation to human errors. Regarded to client’s needs, Million Tech works with our client to propose and design a digital workflow – IPMOE. It is a closed-loop of prescription, dispensing, and administration. Starting from the first stage of doctor’s prescription, it makes use of digital signature which allows doctors to prescribe drug via IPMOE. Second, Nurses login IPMOE system to view the MAR and sort out drug due for dispensing. Third, by using mobile terminal, nurses scan barcode on drug bag to verify right drug at right time. Then, nurses scan patient’s barcode bracelet to verify right patient at bed side. Apart from the professional consultation and the completed workflow designation of IPMOE, Million Tech also provides and matches the best digital equipment for client’s use – 1. Mobile devices (Denso BHT1306QWB) and 2. Printer (Bixolon SPP-R200III), with a tailor-made software working on the mobile device to integrate with the client’s in-house system, in order to run the whole process smoothly. After adopting IPMOE, there is a significant decrease in prescribing process. The error of therapeutic duplication has dropped over 70%. 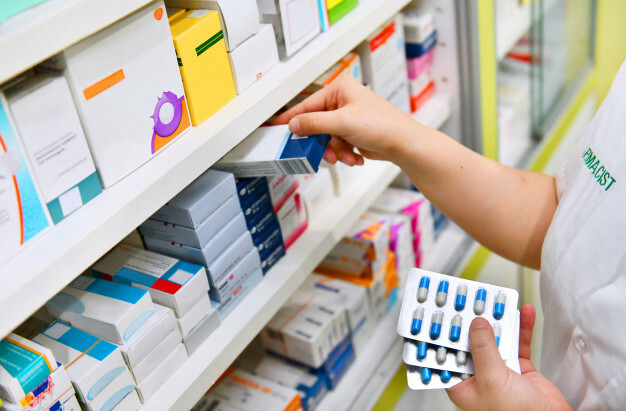 Better still, the error of dosage checking has reduced over 60% according to Hospital’s report “Inpatient Medication Entry (IPMOE) for enhancing Safety and Efficacy of Medication Management” Page 22 https://bit.ly/2TRqYhn. This digital platform helps to eliminate the unnecessary paper works, building better documentation, and enhance the communication among medical staff. The standardized workflow not only reduces transcript errors, also reinforce the checking of allergy and adverse drug reaction.